Now download it in your computer manually. Step 5 (Update Plug-in): Select the old Plug-in clicking on its name (Now click on folder's name) and delete old plug-in clicking on “Delete this folder and all files under it.” from right side. 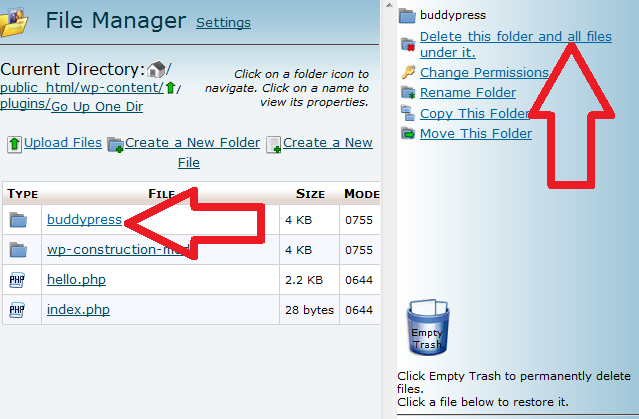 Step 6: Now click on files name, click on “Extract File Contents” at right. Step 7: delete the Zip file of Plugin. Click on the Plug-in’s name (On text, not on the left side box). 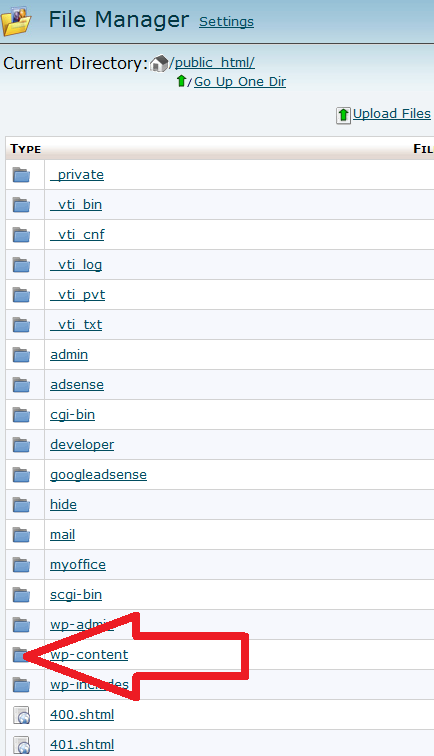 From the right side, choose “Delete File”. 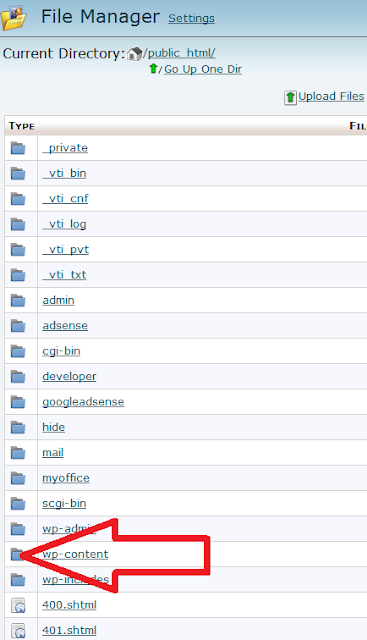 Additionaly click on “Emty Trash”, then “Yes” It is necessary to delete the files from “Recycle Bin”! 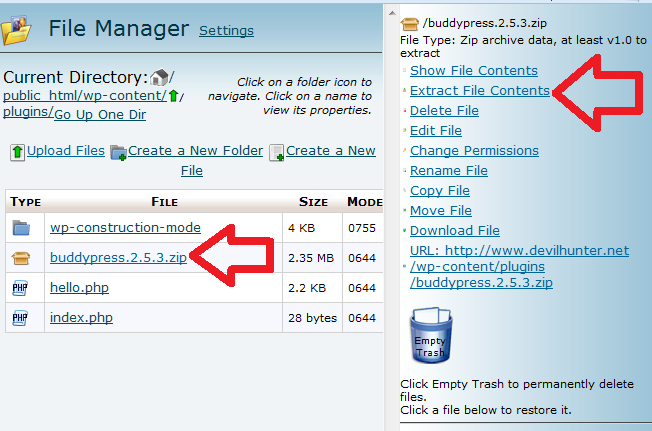 Step 8: Now automatically the uploaded or updated Plug-in will be shown here. 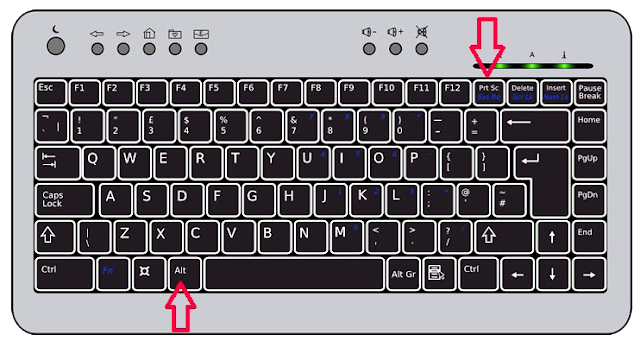 If nothing happens, simply press the “F5” button of your keyboard. 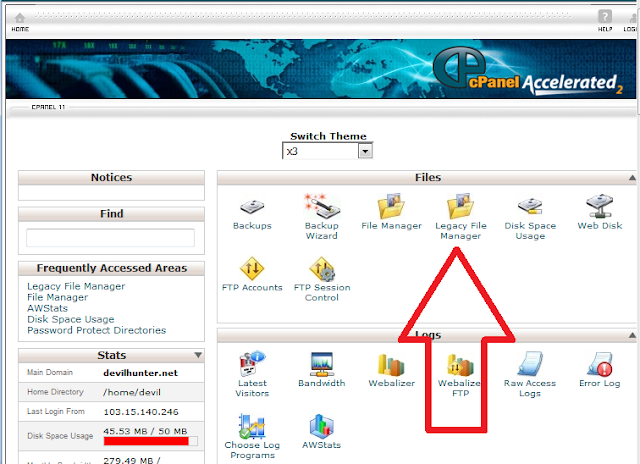 You have nothing to do anymore in cPanel, log out from cPanel. Now go to WordPress Dashboard, you will see it there. Now Activate it. REMEMBER: YOU MAY NEED TO INPUT ALL INFORMATION AGAIN In Plug-In. IT DOES NOT HAPPEN ALL TIME AS ALL DATA ARE STORED IN MySQL Database, BUT TO AVOID RISK OF "INFORMATION LOSS", KEEP ALL PREVIOUS INFORMATION IN Notepad OR MS Word MANUALLY IF POSIBLE, THAT YOU CAN UPDATE IT AGAIN. YOU CAN ALSO TAKE SCREENSHOT.